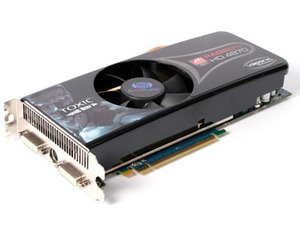 Sapphire first introduced a Toxic version of its Radeon HD 4870 graphics card in September 2008, but as the 1GB version of the HD 4870 hadn't been launched by AMD at that point, we gave it a miss; once the 4870 1GB it quickly became our enthusiast graphics card of choice. Despite the strength of the 1GB card, it wasn't all plain sailing for AMD – the graphics card market has been an incredibly volatile place for the past six months or so and the two rivals have traded blow after blow in a fight for supremacy. It has been a great spectacle and we thought AMD had wrapped up the year, leaving Nvidia festering in the shadows. But then Nvidia released its 180 series drivers, which brought significant performance improvements and put the GeForce GTX 260-216 on a level playing field with the Radeon HD 4870 1GB. To make its card even more enticing, Nvidia lowered the price of the GT200 chips it was supplying to partners, enabling them to in turn bring their prices down to a more aggressive level to take the fight to AMD. The GeForce GTX 260-216 ended the year coming out on top as our preference in the all-important enthusiast segment. 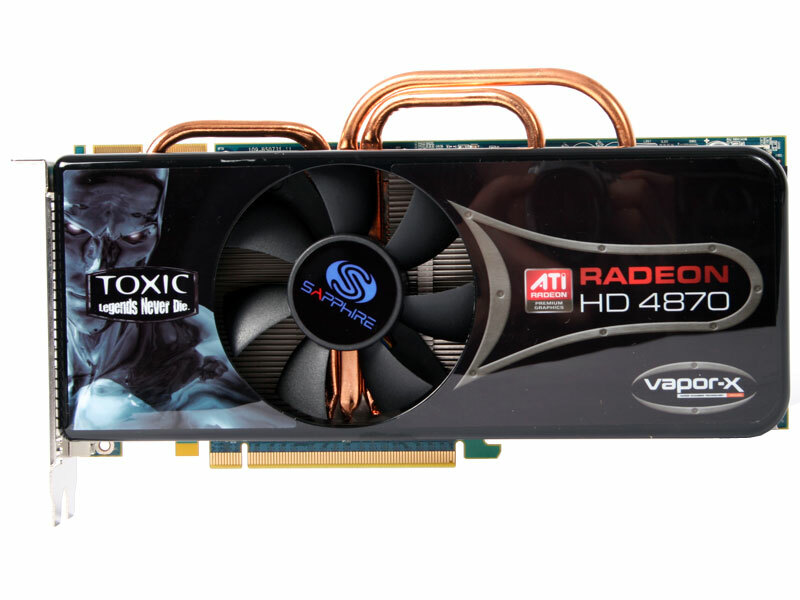 Sapphire's Radeon HD 4870 1GB Toxic graphics card utilizes Vapor-X, the vapour chamber cooling technology the company pioneered. 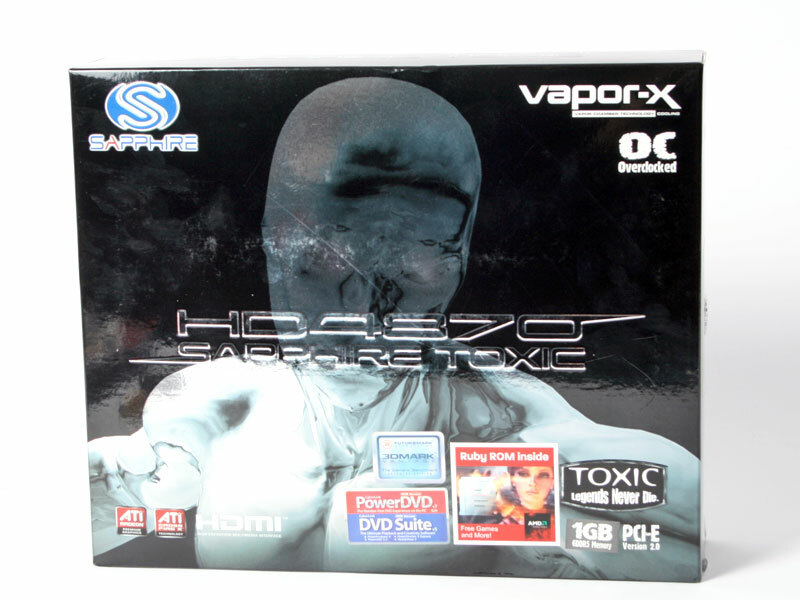 Vapor-X was first introduced with the Radeon HD 3870 Atomic as part of a single-slot cooler that was quieter and better-performing than the stock, dual-slot cooler – we liked it so much that it made our list of great innovations in 2008. The cooler on the Sapphire ATI Radeon HD 4870 1GB Toxic unfortunately isn't a single-slot model, but it's still one of the quietest graphics card coolers we've tested to date – and it was incredibly efficient as well. 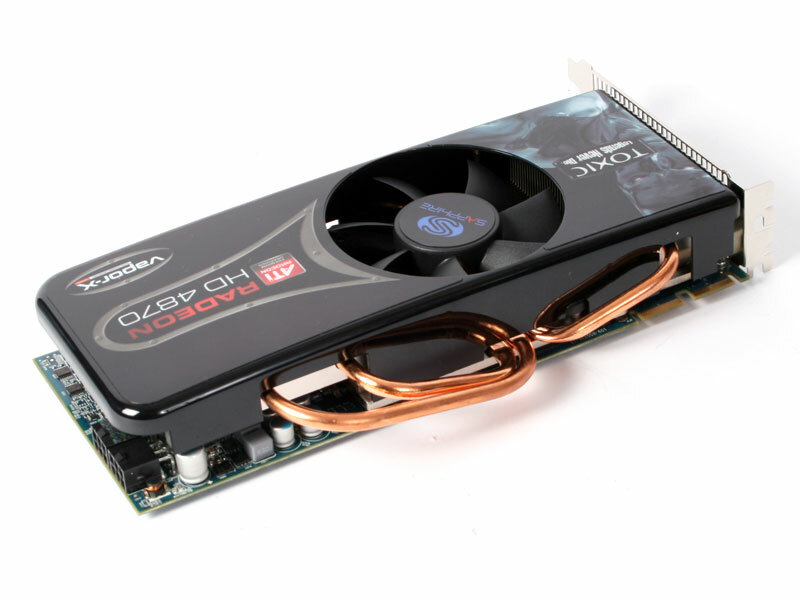 Even when the card is fully loaded, there's no sign of it ever approaching the levels of annoyance we were subjected to with Sapphire's Radeon HD 4850 X2 – it's exactly what the doctor ordered. This is down to the Vapor-X technology employed by Sapphire and regular readers will know how it works, but for those that don't here's a quick summary. It shares some similarities with traditional heatpipe cooling technology in that the primary goal is to move heat away from the source as quick as possible. 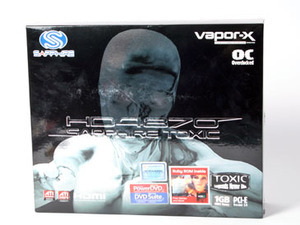 Vapor-X achieves this by using a sealed chamber with a very low air pressure inside. The inside walls of the chamber are lined with a vaporisation wick that is saturated with pure water and, as the chamber heats up, the water heats up and vaporises. This process causes it to move around the chamber until it hits the condensation wick – the coolest area in the chamber, as it's the surface that comes into direct contact with the chamber's top cover. Once the vapour hits this, it condenses as it's cooled and changes state back to water – the heat is transferred away to the array of heatsink fins. Sadly, the improved cooling solution hasn't translated into a stupendously high overclock. The 780MHz core speed is very conservative, while the memory on the card is running at its rated speed. This should mean there's a lot of untapped potential in this card. Had the company launched this product at a time when every penny counts, we're sure that the clock speeds would have been pushed higher. This approach has an impact on yields though – that's not ideal at the best of times and certainly not when we're in a recession. The bundle is comprehensive and includes a wide selection of cables and software. 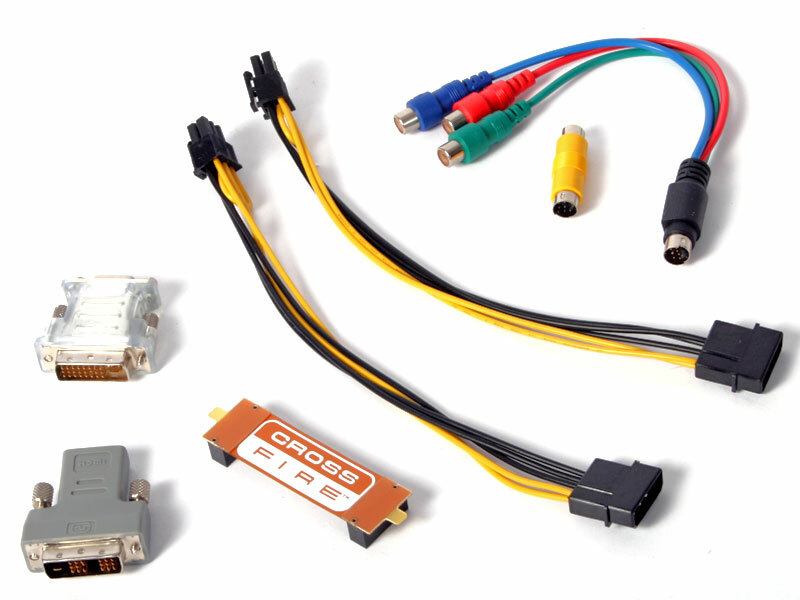 There’s a couple of molex to 6-pin PCI-Express power connectors, a component cable, a composite converter, a DVI to VGA adapter and a DVI to HDMI dongle in addition to the obligatory CrossFire bridge. 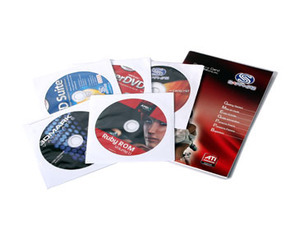 On the software front, there’s a retail copy of 3DMark Vantage, a selection of Cyberlink programs including PowerDVD and DVD Suite, a Ruby ROM disc and a driver/utility DVD. To finish off what is a pretty comprehensive bundle, Sapphire has added a manual and a Sapphire case badge. 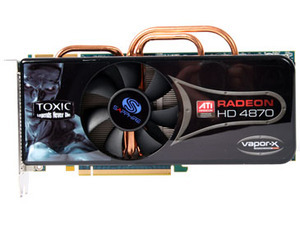 The Sapphire ATI Radeon HD 4870 1GB Toxic comes complete with a two-year warranty that includes cover for parts and labour. During the first year of the product’s life, your point of contact should be the retailer. However, if you’re having problems getting hold of the retailer (or the retailer goes out of business), you should contact Sapphire’s support team directly. During the second year of the warranty period, you should talk directly with Sapphire. After being impressed by the AMD's new ATI Radeon 4770 HD 512MB graphics card, we're taking a look at our first partner design from Gigabyte. At £88 it's more expensive than both the reference design and other models on the market, so we take a look at what we get for our extra few quid.